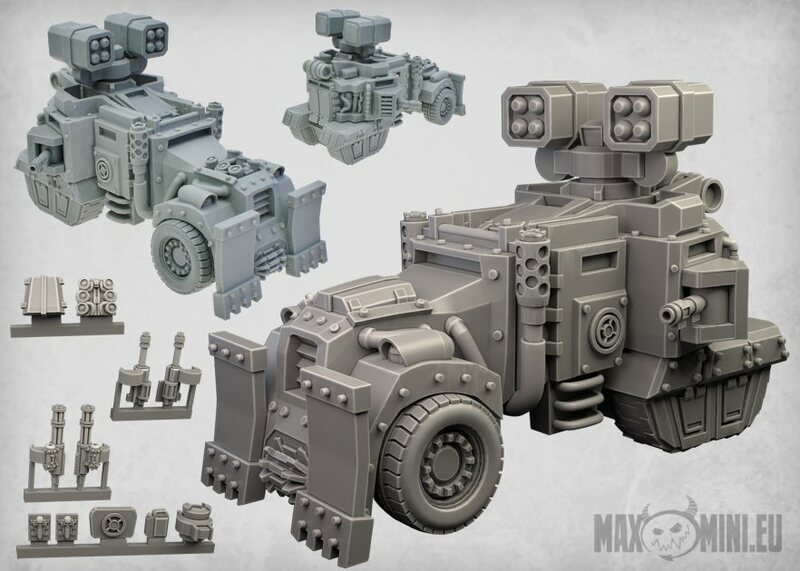 It's like the unholy love-child of a menage-a-trois between an MRAP, a Taurox, and a Whirlwind. Good times! I suspect there are far fewer protests about the cost of living in the dim dark future. It doesn't look quite right because the front wheels are too big relative to the rear tracks. Or rather, the rear tracks are too small for a halftrack of this size.